Come and enjoy our garden, light a candle in the church or take a coffee break in the community hall. You can arrange your own conference or baptism celebration in our community hall. We arrange tours, worship services, baptisms, reaffirmation of baptism and church visits. 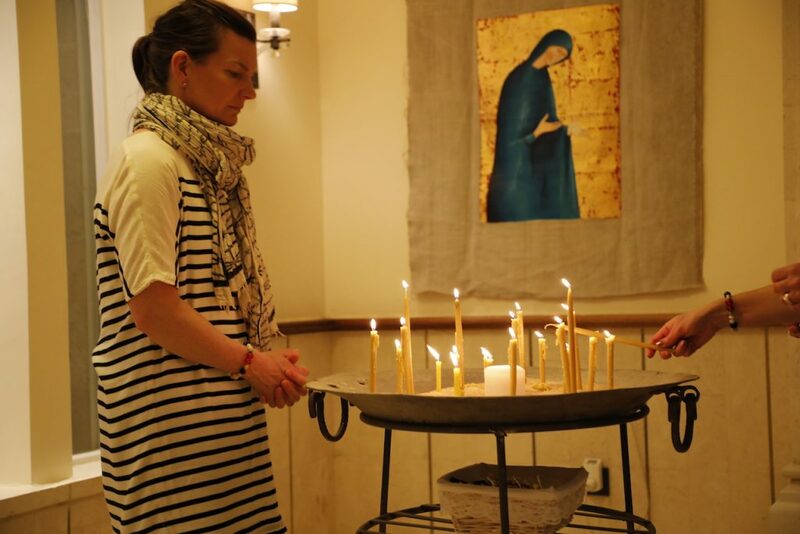 The typical tour takes about 3 hours and includes a visit to the Evangelical Lutheran Church at Bethany Beyond the Jordan, a tour of the grounds, including the ruins of a monastery believed to be built at the site where Jesus was baptized. Baptism or reaffirmation of baptism can be arranged in the Jordan River or in the Lutheran Church.